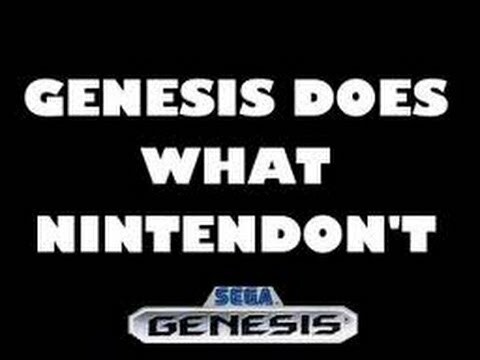 I have been saying the Genesis for the past 5 years. If it is good enough for Trump, then it is good enough for the IHSAA. I'm a Phil Collins kind of guy. I cut up Broadway when going to Chicago to check Gary out and always thought it might be a good place. Genesis center I too have said for years would be great venue wise. But the down side is there is nothing around it anyone could go to to eat and the city of Gary whether it be school or government can't do anything right. Don't think they could pull off a semi state. Shame 6,500 capacity. Tell the IHSAA that if they move the semi state to Gary, I will run the tournament. East Chicago Central is the new semi-state venue. I think the gym will be big enough. I just hope that they get the proper personnel to run all of the behind the scenes work. I really hope this tournament goes smoothly or else there is gonna be a lot of unhappy wrestling fans. Atleast they will have some room to breathe seeing as it is the 2nd largest gym in the united states (next to new castle). but will they have the spot lights??? I don't think they currently have spot lights. not only will they have the spotlight. how does warm up mats and a big warm up area that's available to wresters all day sound? how about a breakfast past 8 am and snacks or at least water for the coaches. Will they only let out 3 bleachers? And leave the fourth for warm up areas? East Chicago it is? Man that is quite the drive for some schools. People in northern indiana don't realize how good they've got it in terms of accessing every place quickly. Evansville is the only truly isolated area in the state. There are too many good routes to ECC. The farthest, most isolated schools in that semi-state still require an hour less than many schools need for Evansville, based on Google Maps estimates for cars--let alone buses. I can't find any school that needs any more time than the 2h12m for Lewis Cass. It will be gravy to get to ECC after you've done it once. mostly for the schools that drive 1.5 hours when the other semi state is almost 1/2 the distance from them. If they are changing locations they need to look at redividing semi-states. Warsaw goes to this semi-state, but is only 45-50 (maybe 60 by bus) from Ft. Wayne. East Chicago is going to be easily 1.5 hours. an hour and a half? Man that's rough. I mean we only drive 3 hours to our SS! Unfortunately you have to make the dividing line somewhere...Brownsburg or Avon could drive to any of the 3 other semi-states in the state in well under what it takes them to go to Evansville. If everyone just went to the place that was closest to them, we'd have half the schools in the state headed to New Castle and only 5 percent going to Evansville. ECC will be about another 20-25 min farther than Mville for the warsaw area guys. 65 to 94 get off at Cline ave. All those routes are expressway speed.